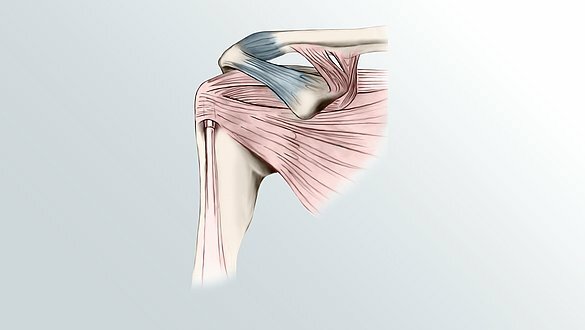 Frozen shoulder mostly occurs between the age of 40 and 60 and is marked by adhesions or hardening of the joint capsule. The shoulder joint muscles can also be affected. A problem with the shoulder joint demands a lot of patience. With a frozen shoulder, for instance, the shoulder stays stiff for a very long time. It can be caused by rheumatic disease, osteoarthritis, injuries or overuse. The good news: it will "thaw out" eventually. The first symptom is shoulder pain. This is most noticeable at night. It is typical for the pain to get better on its own in time. By contrast, however, the shoulder constantly grows stiffer and less moveable. Sometimes it can’t even be moved passively any more, for example, by the doctor. A stabbing pain shoots through the shoulder during everyday movements such as washing or getting dressed. Working above your head or pulling the car's safety belt forward are only possible with great difficulty. Frozen shoulder resolves with time, but it can take up to three years. The arm gradually loosens up again little by little. Frozen shoulder usually occurs as a result (secondary form) of injury. Rheumatic diseases, infections, inflammation or osteoarthritis can also lead to frozen shoulder. Particularly the long-term immobilisation of the shoulder joint after operative procedures or accidents can trigger frozen shoulder. The causes of spontaneous onset frozen shoulder (primary form) are unclear. A number of doctors suspect that metabolic diseases such as diabetes or hyperactivity of the thyroid gland could play a part. 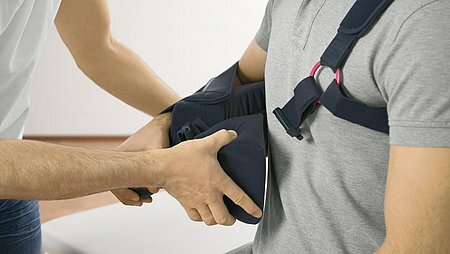 In certain cases, it is very important to immobilise the shoulder after an injury or an operation. We have special immobilisation orthoses for this. However, always ask your doctor whether you might be able to start gentle physiotherapy at an early stage. Early mobilisation helps prevent secondary frozen shoulder. Good posture is another preventive measure. Perform all everyday activities as carefully as possible. Furthermore, you should not expect your shoulder joint to bear any one-sided stresses at work or when playing sports. 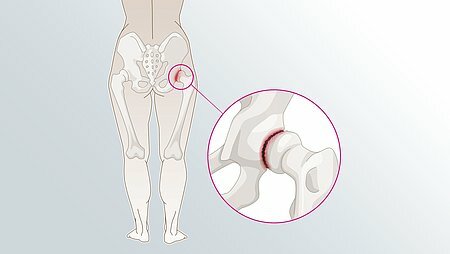 If you suffer from arthritis, get early treatment. 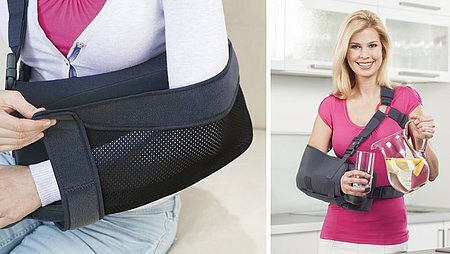 Click here for more information about medi's shoulder supports.